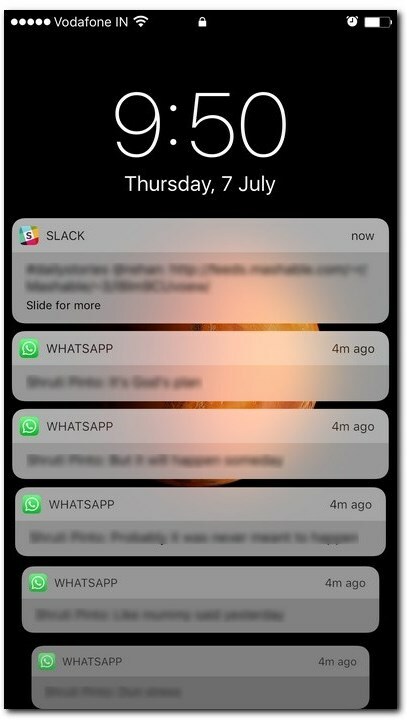 iOS 11 have caused many troubles to users after upgrade to iOS 11 and one of which is user on iOS 11, the messages notification is blocking lock screen almost completely. Once it starts to display notification on the screen you cannot delete it, dismiss it or get rid of it in any way. Even rebooting does not seems to fix it. Also turning notifications on and off for messages didn't fix it either. 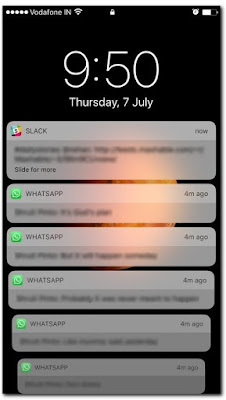 The situation would become even worse when you won’t be able see notifications from other apps. Fix 1: For some users the problem seems to have been the fact that MacBook Pro is not logging in to iCloud. After locked my MacBook Pro on to iCloud, the Notification on my iPhone disappeared. Fix 2: Settings > Notifications > Messages > confirm that the banner type is set to Temporary. Hope this would fix your issue. I was able to soft-reset the phone. Seems to have come back. Boy that was a pain and at an inappropriate time. Now, why did it do that? My phone is a iPhone 6s on iOS 11.1.2 (15B202).